Get free tips from our marketing experts. Help your business get found in Google search engines is critical for driving more visitors to your website. Do you attracting highly targeted targeted visitors to visit your site? What are the search phrases that your potential customers are searching for? How can you rank higher for these words? 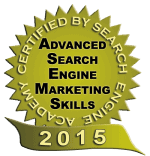 Get advice from our SEO specialist! We’ll review your current Online Marketing Strategy, and offer professional advise and suggestion for improvement to achieve the highest ROI for your business. Discover which search phrases you’re ranking for. Analyse which keywords your competitors are ranking now. Measure the number of search from each keyword. Identify which keywords are potentially generating leads and customers for you.